Hi everyone! I can't believe we are only five days away from Christmas. 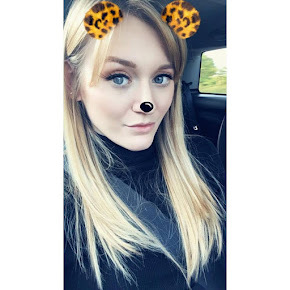 This year has gone so quickly and I've made so many wonderful memories, so it was nice to let my hair down at a Christmas Party and celebrate as the year draws to a close. 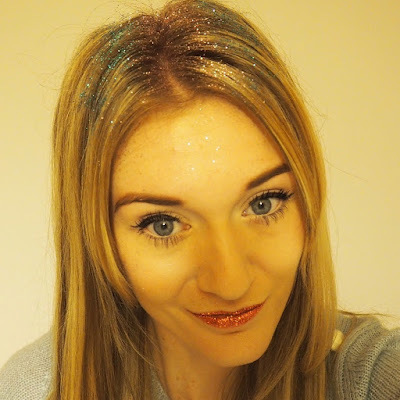 Anyone who knows me knows that I love a bit of sparkle, and I have to admit I really got into the glittery spirit for my Christmas Party this year. I thought I would share photos as I received so many lovely compliments and it was really fun and easy to achieve this look. For my hair: I straightened it like I normally do, and then used a fair amount of hair spray near my roots. I massaged my hair near the roots (or you could backcomb) to give it that bit of volume, but also so the glitter would hold for longer. 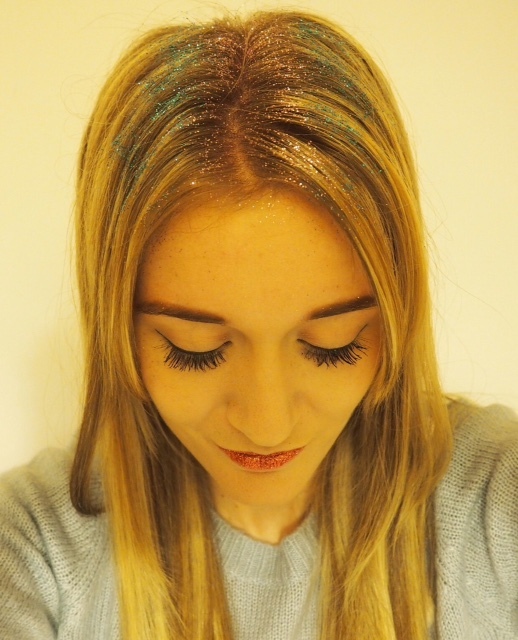 I used children's craft glitter which I purchased in those handy little shaker pots, so I could just sprinkle it straight onto my roots. I used a rose gold pink near my roots and then turquoise further out than this to give it a sort of ombre look. I then sealed again with another layer of hairspray. For my lips: This is a kit I purchased last year at the Clothes Show, but you can find a similar one here in red. I would recommend buying these kits because the glue and glitter is skin-friendly so won't cause any irritations. The glue is also really effective, and I find my glitter lasts through food and many a drink!